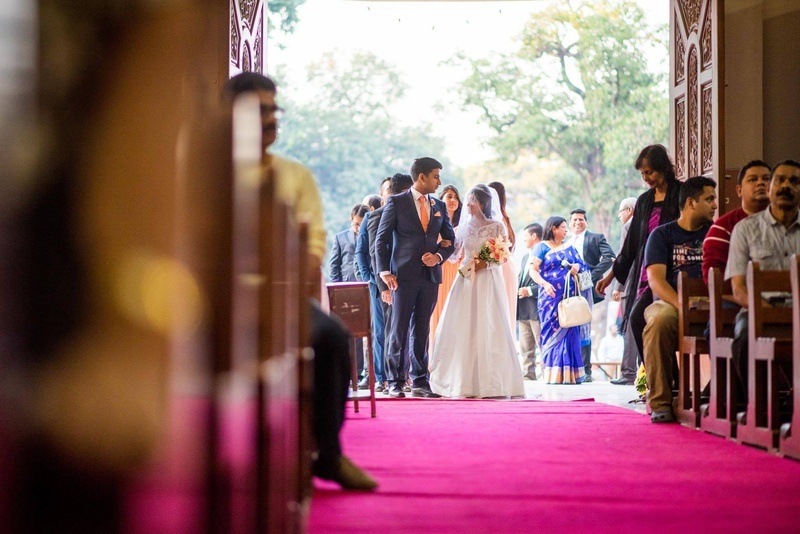 A picture perfect catholic celebration held at the opulent wedding venue in ITC Maratha, Andheri, Mumbai, that gave us all the happy feels. 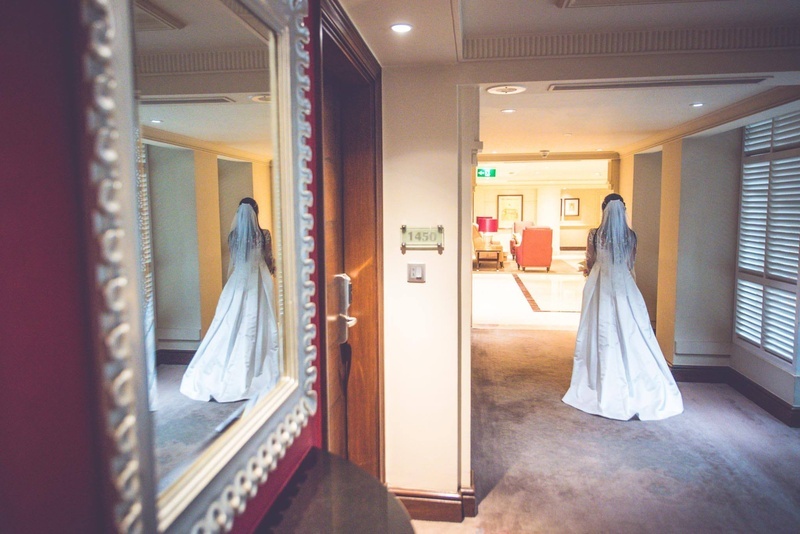 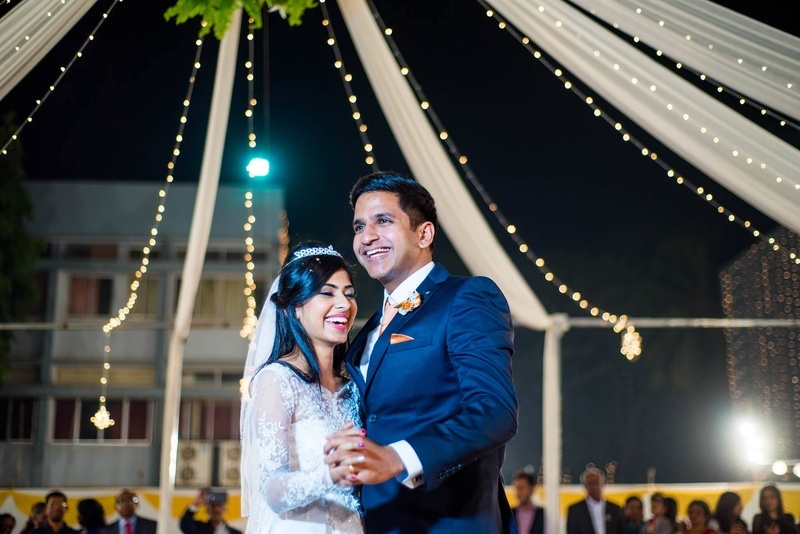 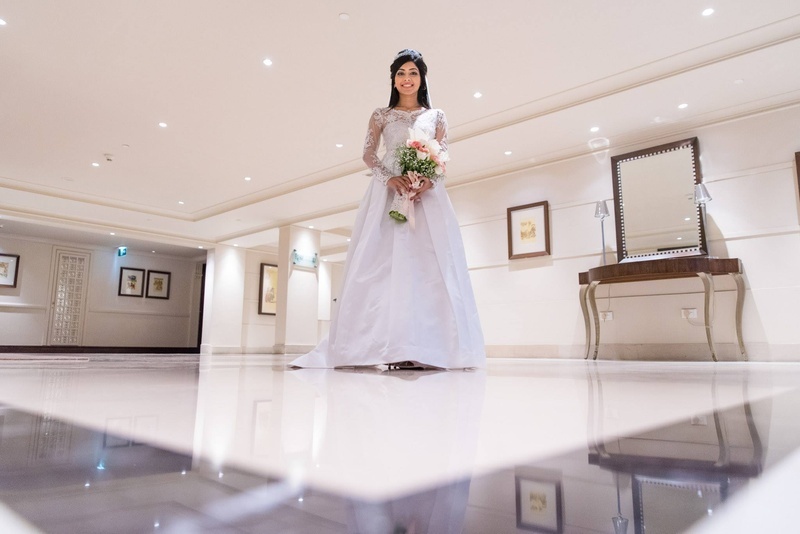 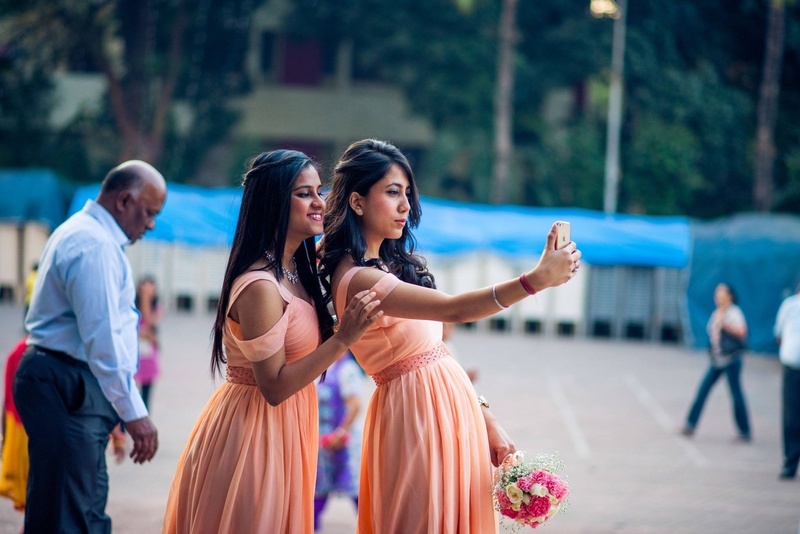 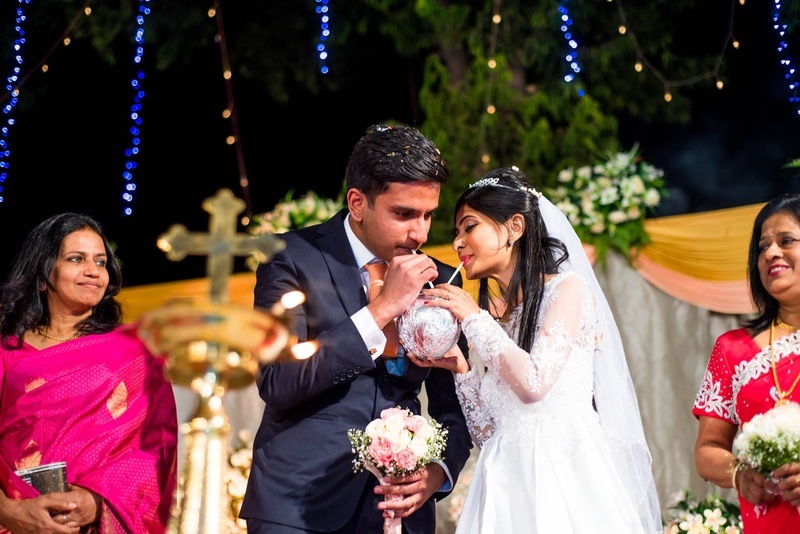 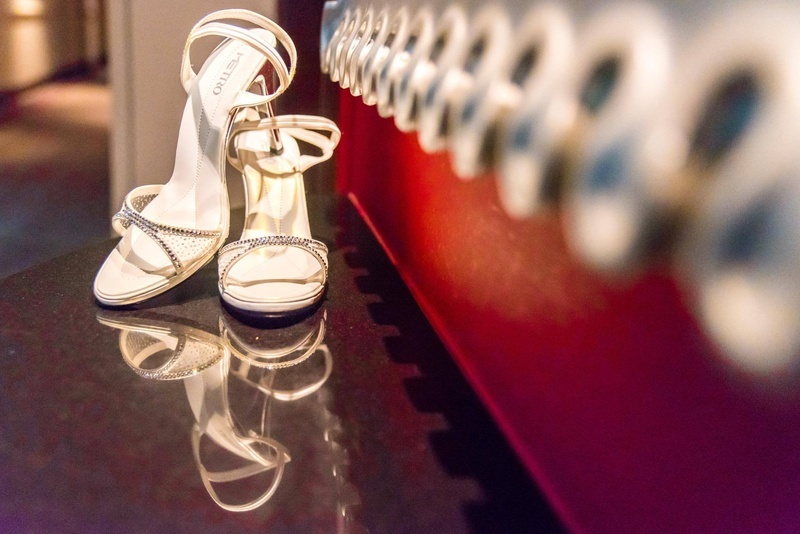 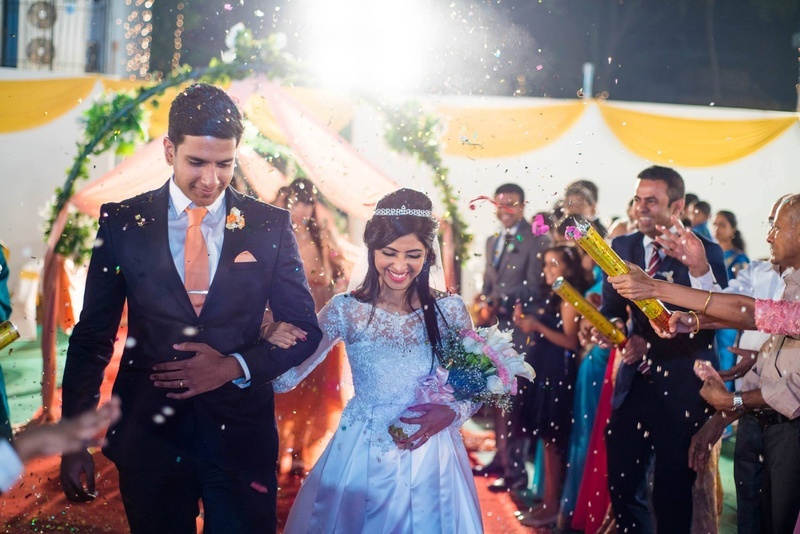 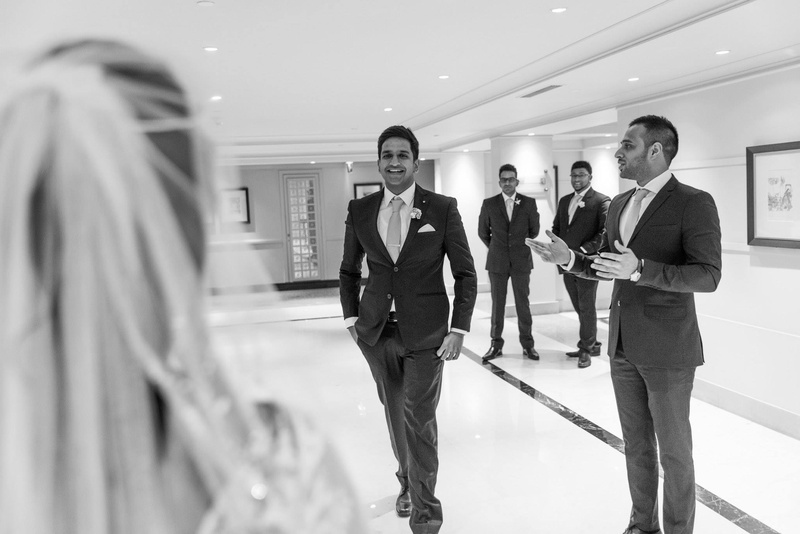 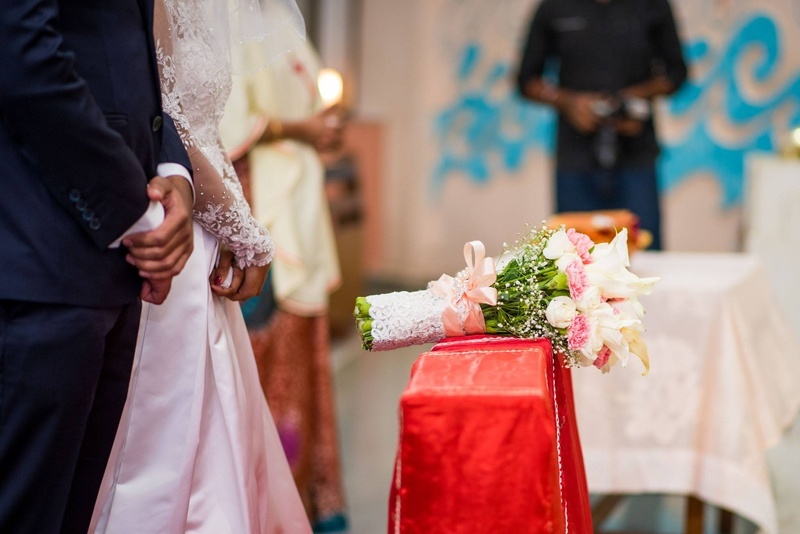 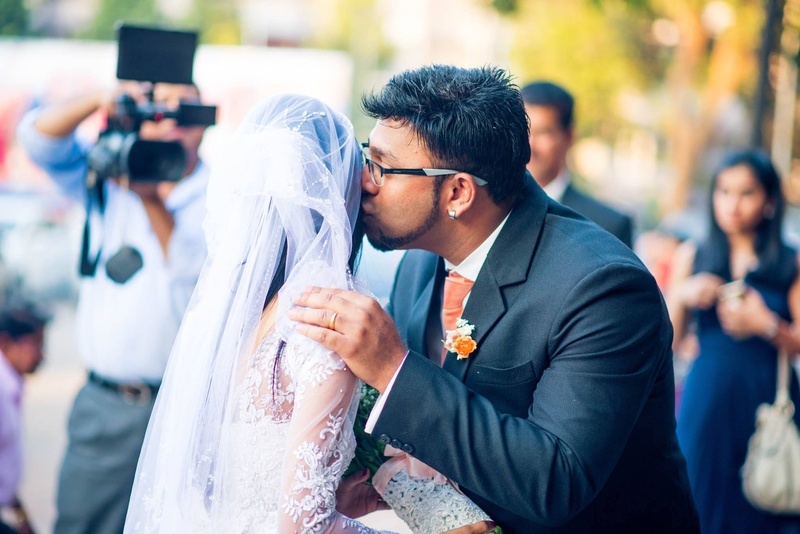 With elegance oozing from every element Steffy and Rohan made sure there was full focus on the love and each picture taken by WhatKnot, their wedding photographers, proved just that. 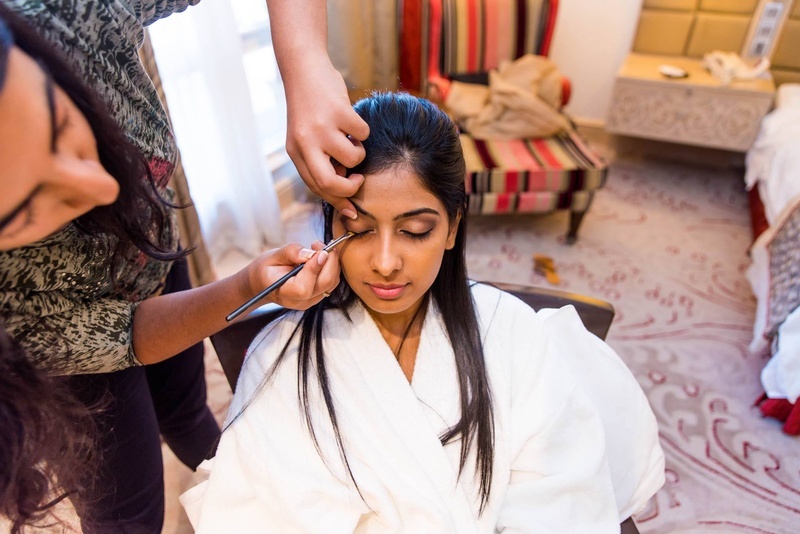 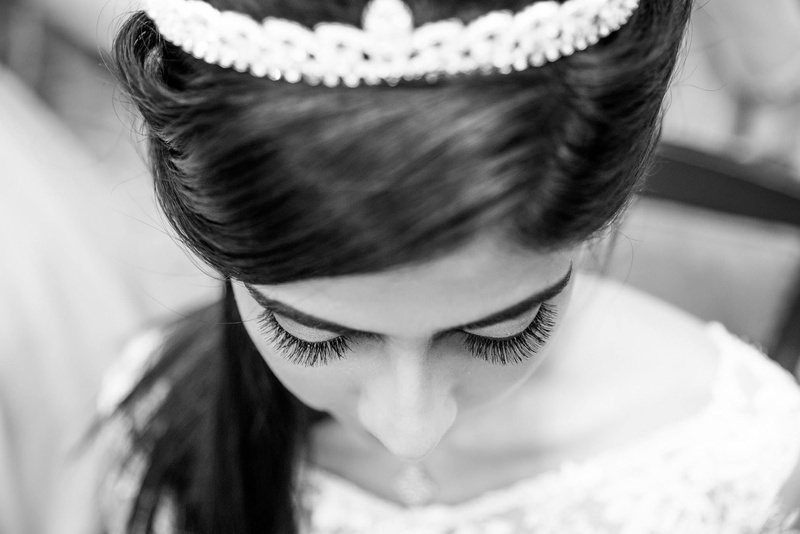 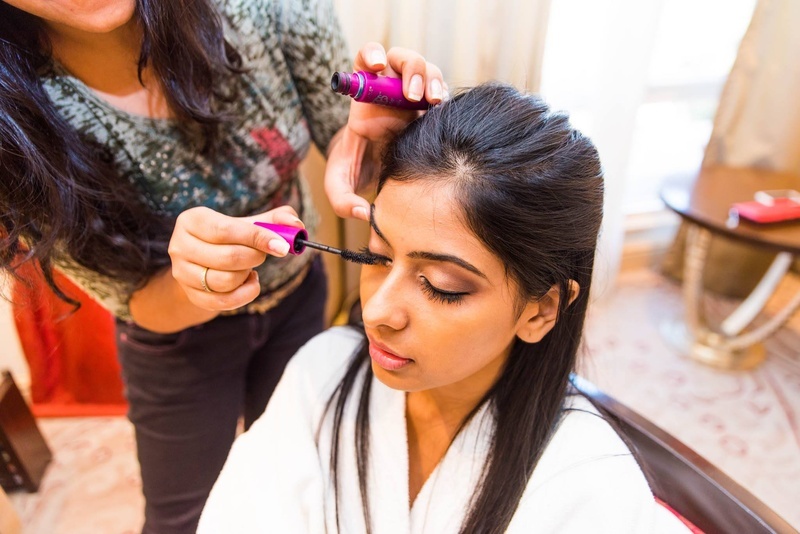 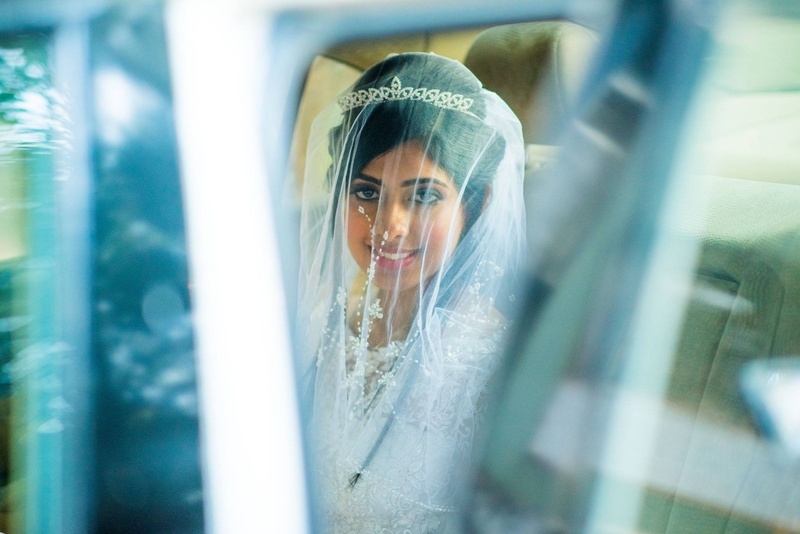 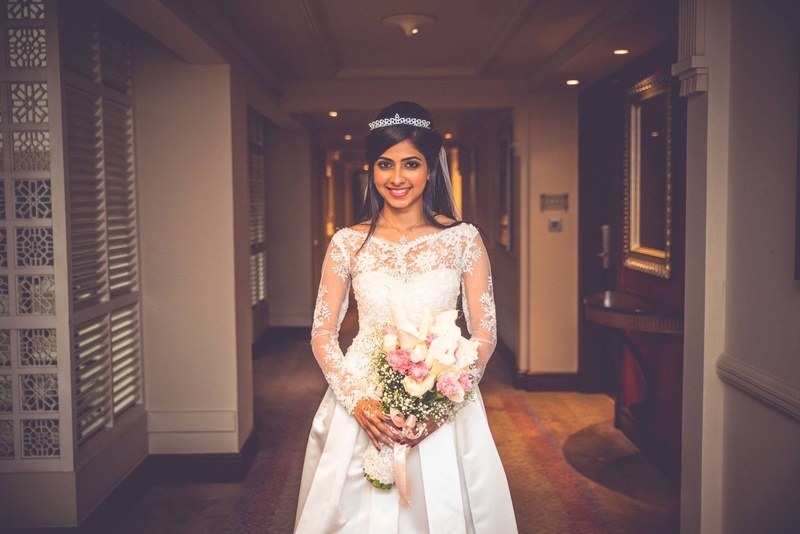 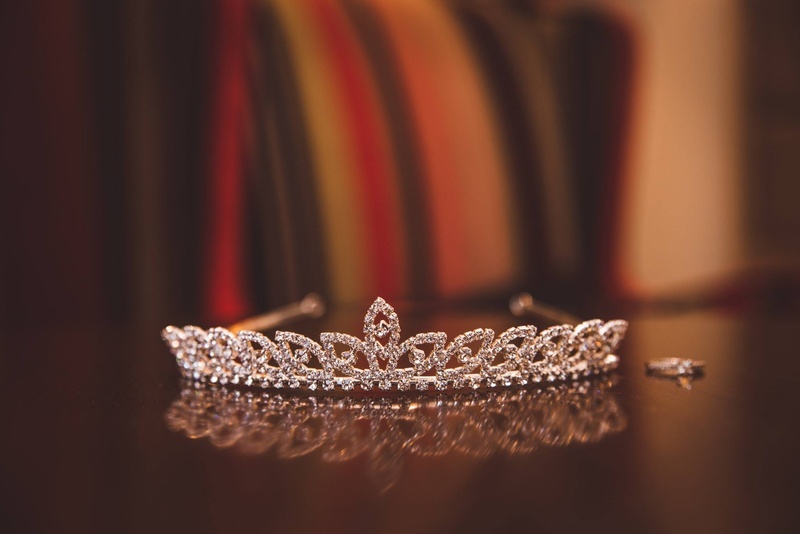 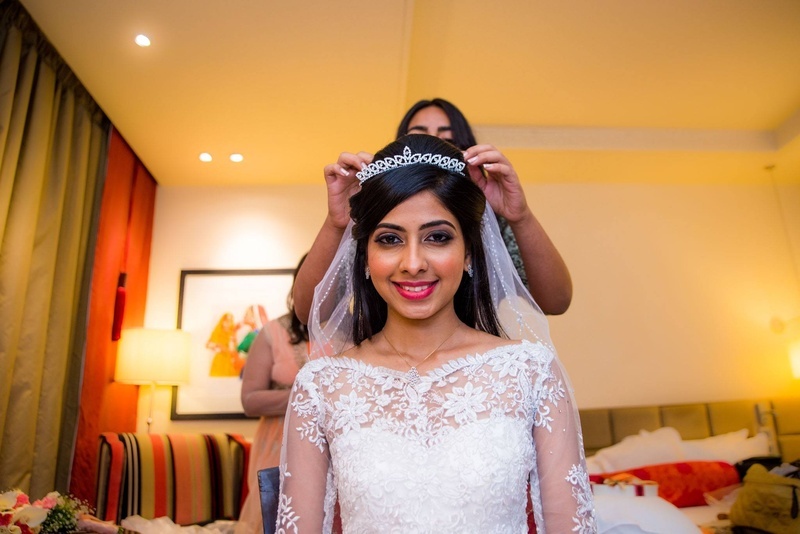 Steffy went for a well balanced makeup look – bold eyes and soft lips with a princess-like tiara that was the perfect addition to her bridal accessories. 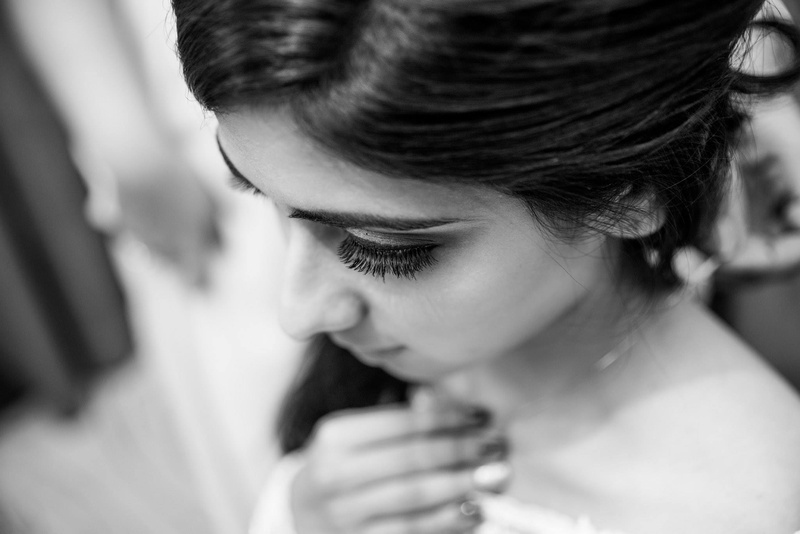 She also wore a diamond pendant on a chain that almost disappeared on to her neck – minimalism done absolutely right! 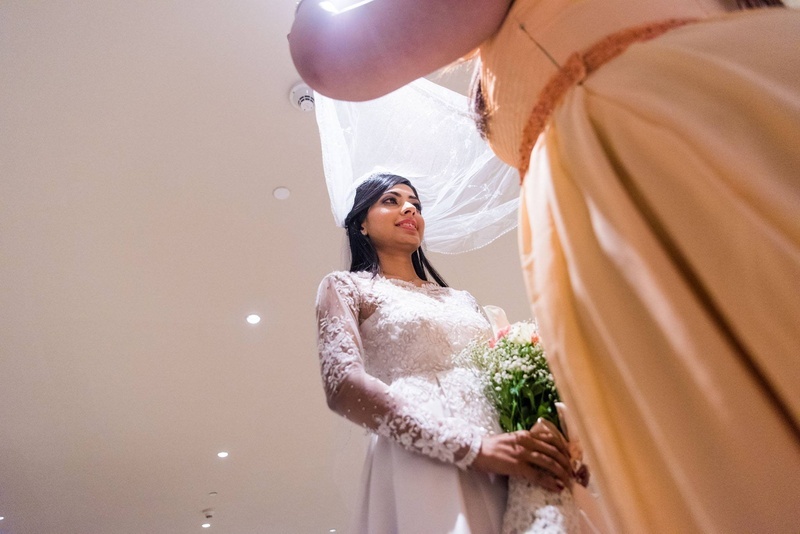 She went with the classic snow white wedding gown in an A-line silhouette. 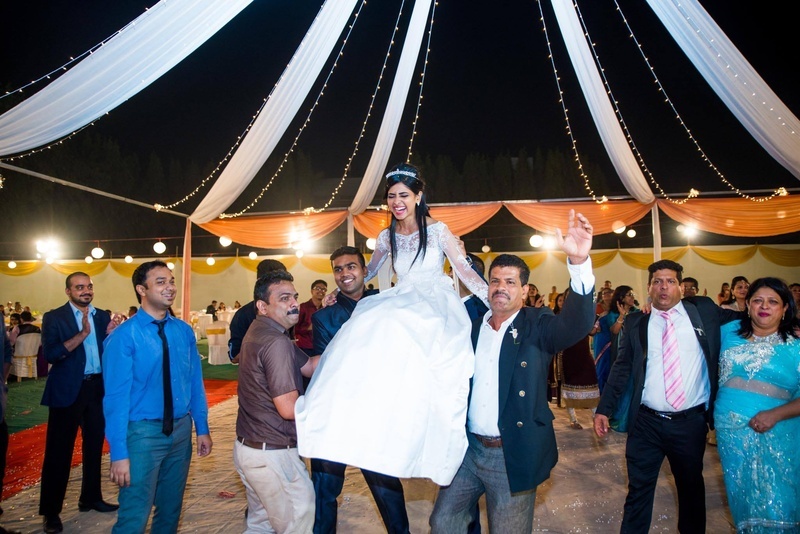 The flare of her dress had subtle box pleats which took Steffy’s prettiness level to new heights! 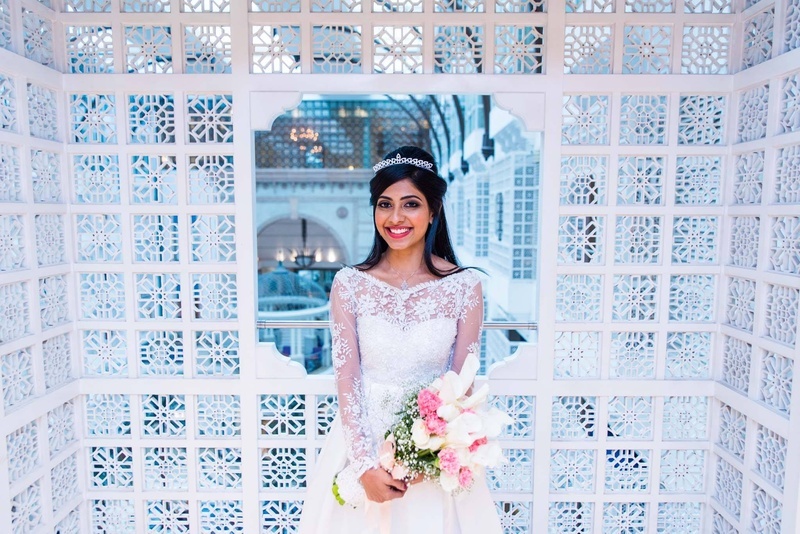 A sweetheart illusion neckline paired with this flare was a match made in heaven, and the lace? 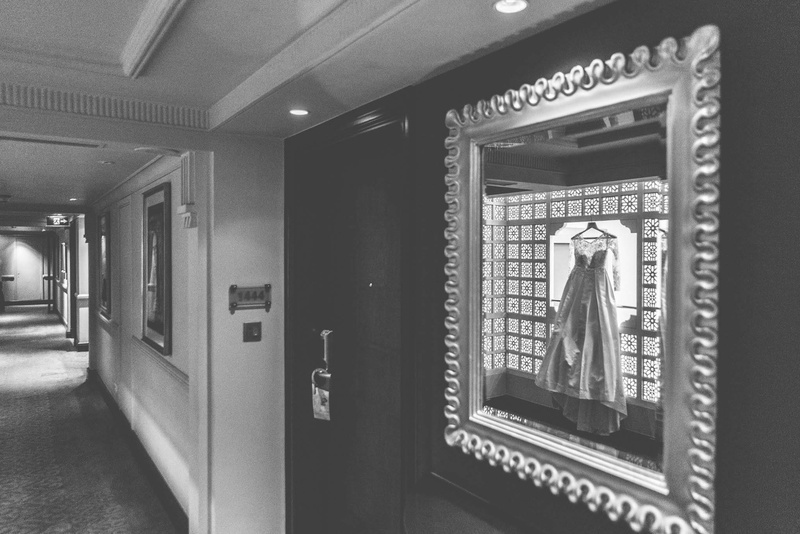 Absolute elegance! 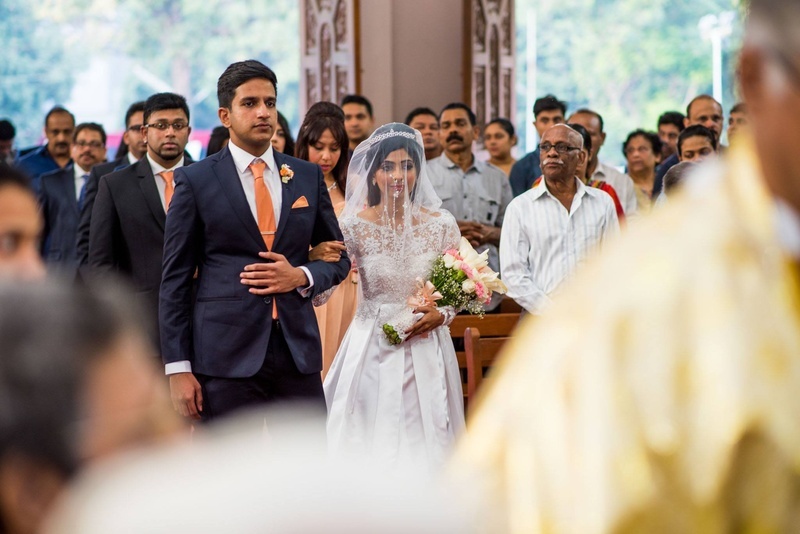 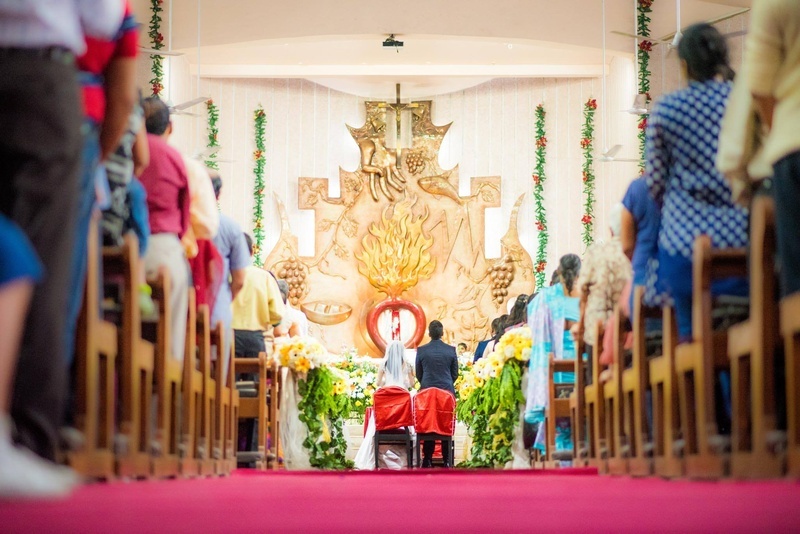 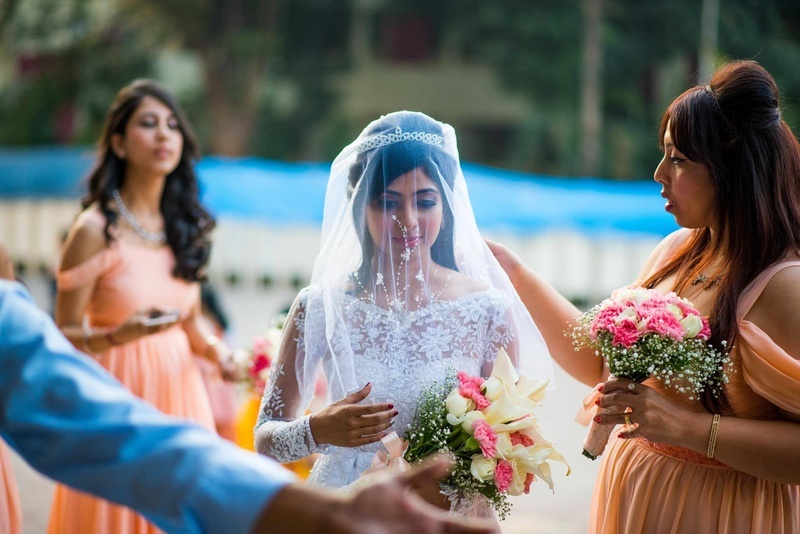 They took their vows in front of family, friends and loved ones at the opulent Sacred Heart Church, Andheri which was minimally decorated with fresh flowers in hues of white and bright yellow along with green ferns along the pews of the church. 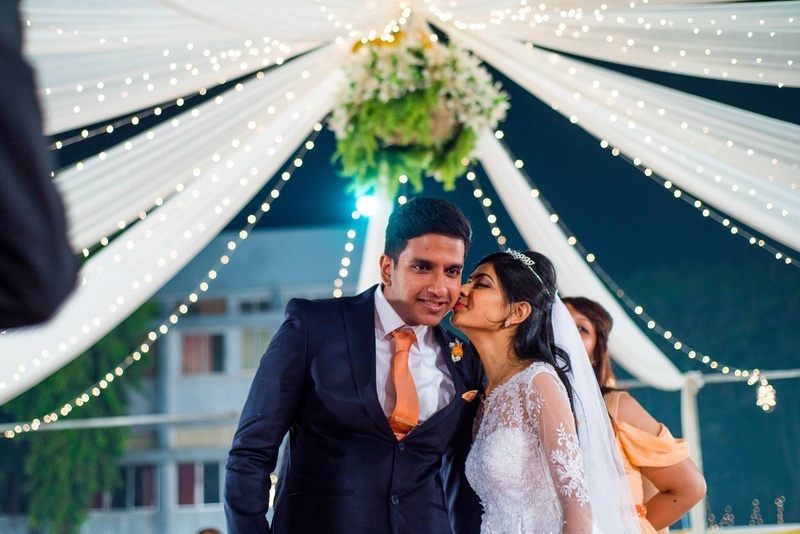 Steffy’s bridesmaids wore a gorgeous hue of peach, while the bestmen wore sharp black suits and peach ties to match the theme of this elegant Christian wedding affair. 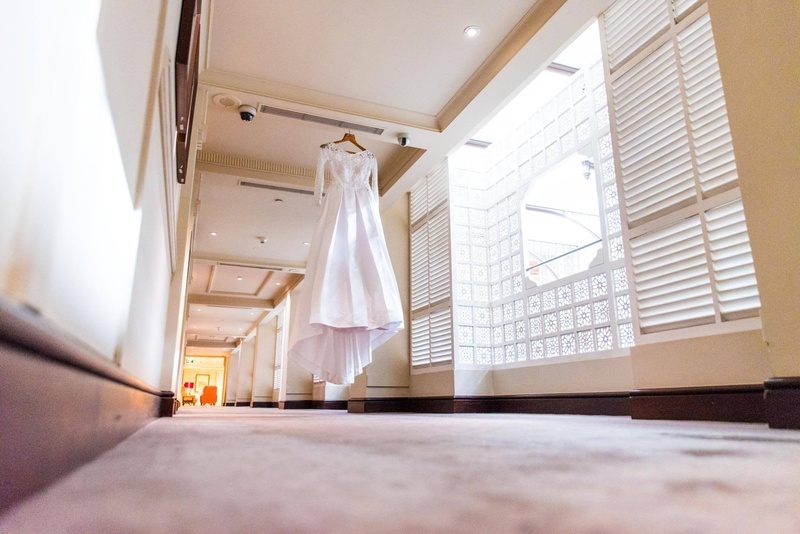 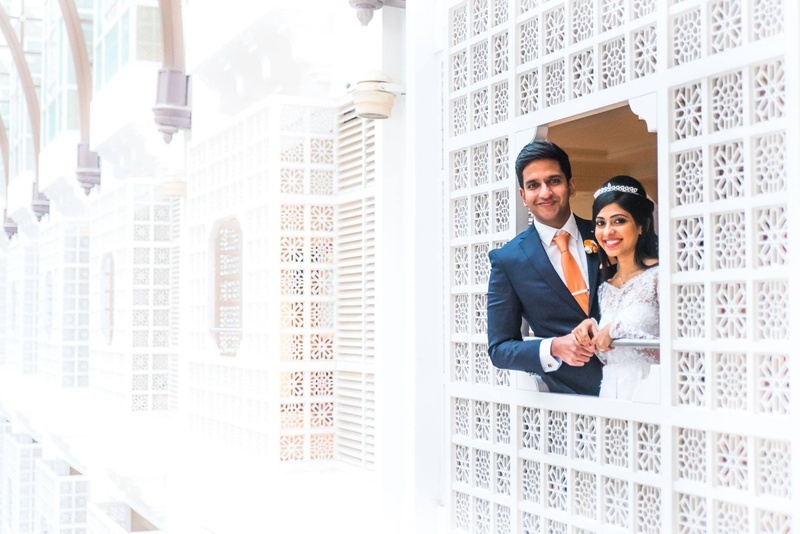 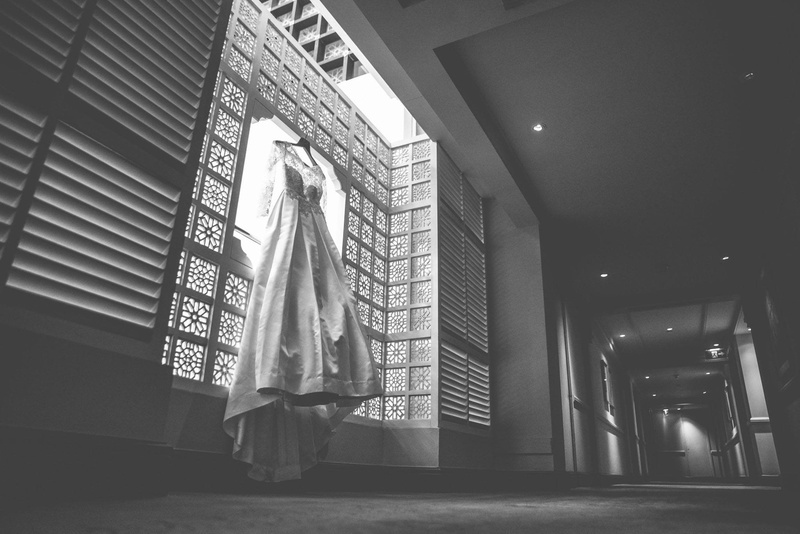 WhatKnot used the picturesque spaces at the ITC Maratha, Andheri to create amazing post wedding photographs of the couple. 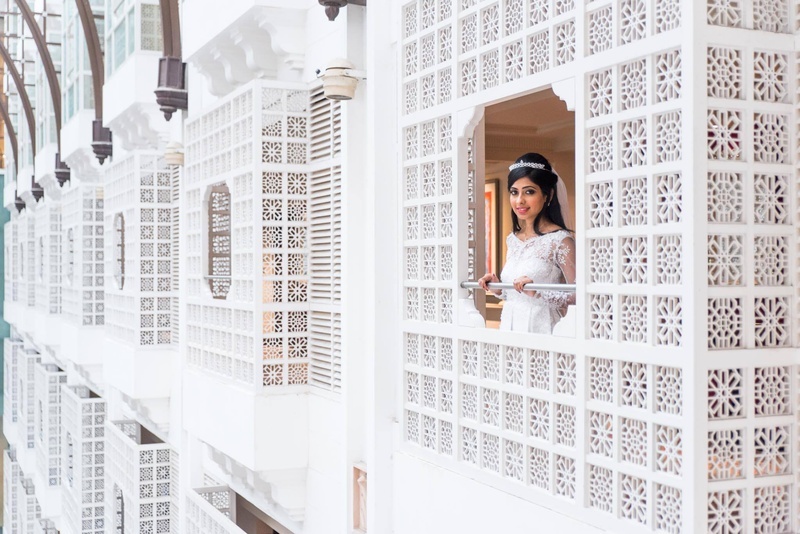 The jharokha windows, clear white spaces and the quietness of it all created an atmosphere for picture-perfect moments for both Steffy and Rohan.